Explosion was purchased privately from Gerlad and Morag Smith in late autumn 2014. By the noted Newry and a descendent of the Hockenhull Girlie line, his colour, ease of fleshing, correctness, locomotion and breed character are all attributes which will hopefully compliment our female base of Prince Charming daughters. 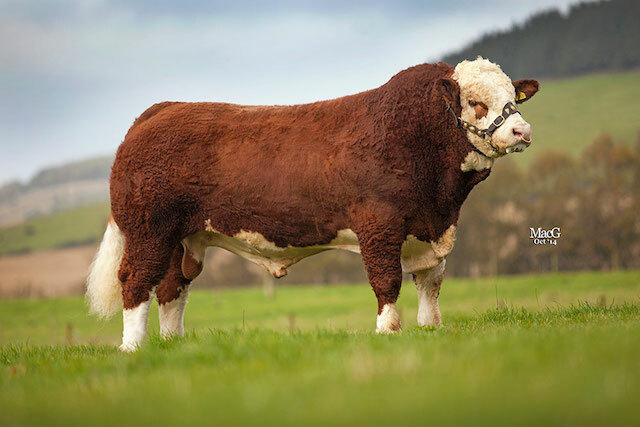 He’s been shown successfully in Scotland and we’re pleased with how he has grown on since arriving in the herd. 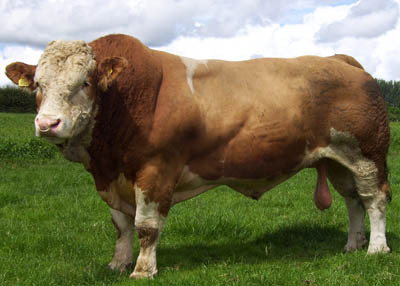 He also carries a positive calving ease, milk figure of +11, TPI of +99 and SRI of +101. 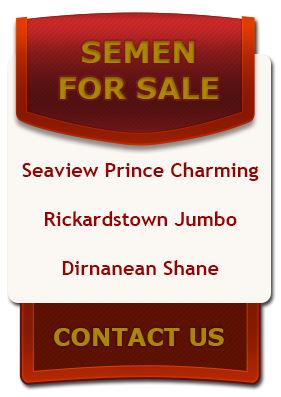 Prince Charming was bought privately in 2007 from the Robson family of Kilbride Farms. 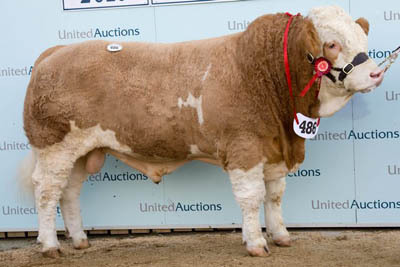 He is a proven sire capable of breeding long, muscular cattle with great locomotion and power. 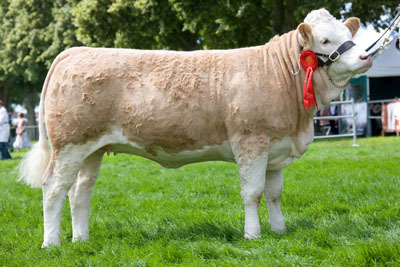 He has produced some fantastic heifer and bull calves which have been shown successfully and sold well both privately and at public auction, including the 7200gns Boars Head Argonaut, who sold in Stirling in October 2010 and Boars Head Meierisli 5th who was Leading Ladies Breed champion in August 2012 and sold for 5600gns. 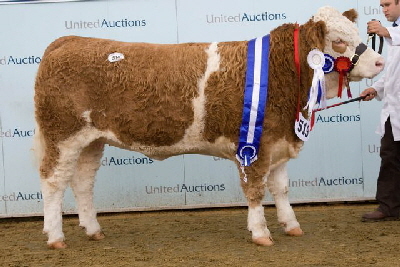 Leading Ladies champion and Prince Charming daughter Boars Head Meirisli 5th, sold for 5600gns. 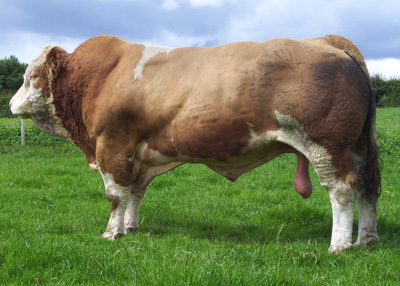 Jonti is a long and powerful bull and has produced great offspring at Boars Head. Gallant is an easy calving bull and has been used successfully throughout the Grace family at Boars Head. He leaves offspring with length, power and good hind quarters. 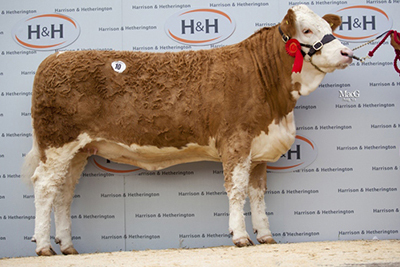 Prince has been used successfully in the herd and has produced two prize winning show bulls for the herd, one of which was sold for good money in to a commercial herd and the other was sold to pedigree breeders Abram Farms, Norfolk. His mother is an exceptional breeding female. Tankard is a proven female breeder so from a few select matings, we hope to produce a new female line.